We now have 700 Members of Architects & Engineers for 9/11 Truth who are placing their trust in us and giving a very modest monthly sum. Our board members are extremely grateful – given our “rethinking” of our 2014 Membership Drive in which we are taking the calculated risk of reducing our entry level membership to $2.50 / month – and thereby encouraging everyone to join. It is starting to work – our current Membership Drive is approaching our goal of 1,000 members! If you haven’t yet taken the opportunity to secure your place in history alongside AE911Truth in the epic battle for 9/11 Truth justice – where we, collectively, pool our resources and place our stake in the ground declaring “wake up!” to our fellow Americans – and “accountability!” to our government and media, then let me assure you NOW is the Time! 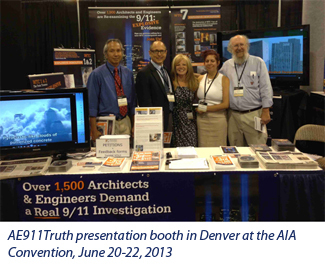 In June: Following last year’s success in Denver, we educated hundreds more architects at the Chicago AIA convention with the evidence booth and speaking event. In April: Pressure on Manhattan DA Cyrus Vance, who disavows NY State jurisdiction of crimes of murder, manslaughter, arson, and treason. And much much more, but it all depends on you! 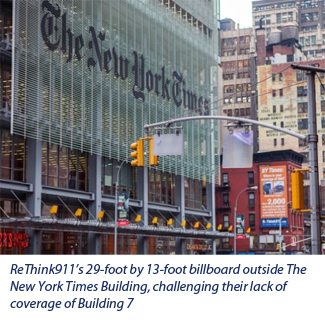 Without your monthly membership in AE911Truth, we won’t be able to accomplish even half of our goals. It takes all of us – not just 2% of us. We’ve made it as financially easy as we possibly can for all of you to join in. Won’t you pitch in now and share the burden with the rest of us so that we can make 2014 the break-through year?! 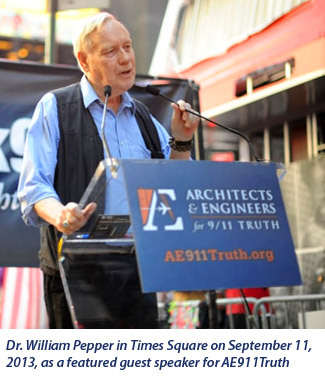 Together, we will expose the crime of the century by strengthening and sharpening AE911Truth – the tip of the spear of the 9/11 Truth Movement – aimed at the Achilles Heel of the 9/11 myth. Don’t be left out of the victory. Join us now!